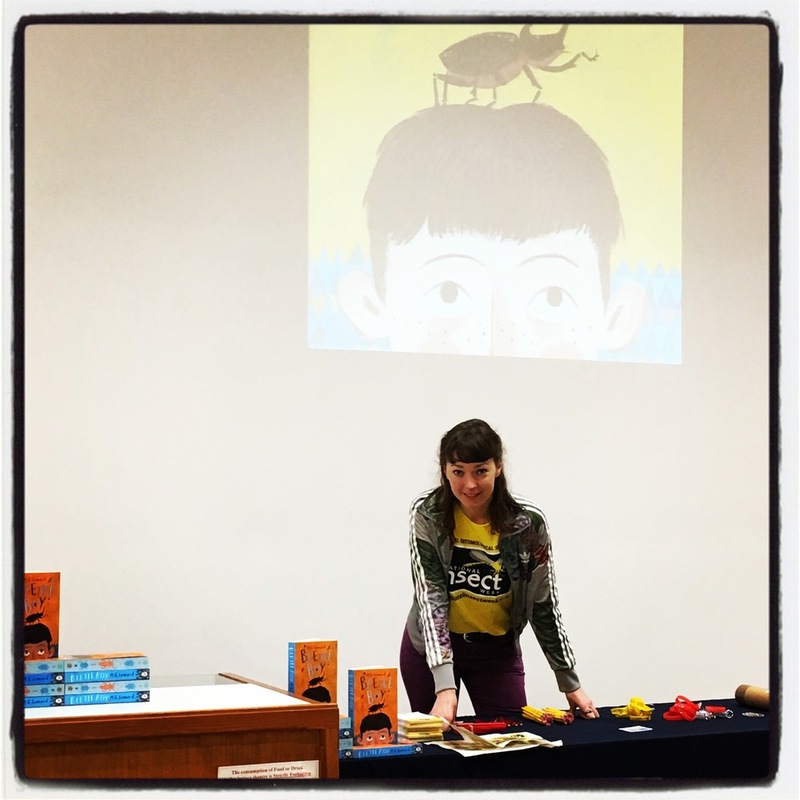 M. G. Leonard offers a slide show based event, lasting one hour (including Q&A), suitable for assemblies or large groups, introducing students to the stories of Beetle Boy, Beetle Queen and Battle of the Beetles, and the wonderful world of beetles. 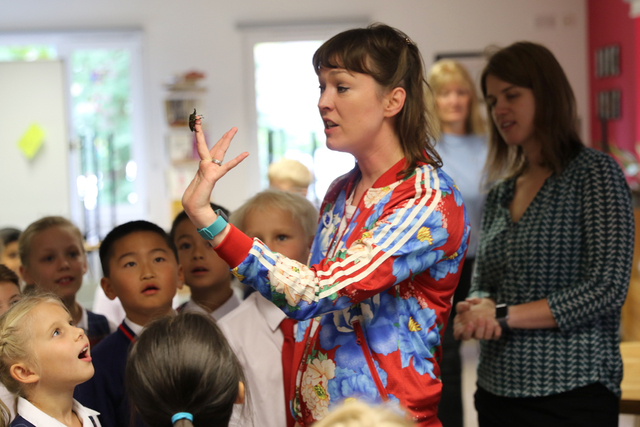 She will be brightly dressed, full of energy, an infectious enthusiasm for beetles, and come laden with cool scientific facts and taxidermy beetles. 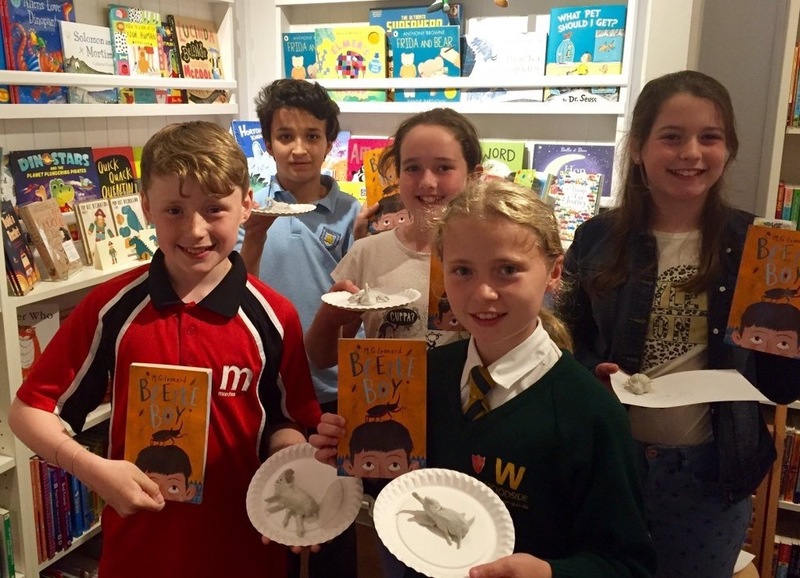 These events would usually include book signings, and the opportunity for pupils to purchase a copy of Beetle Boy, Beetle Queen and Battle of the Beetles and meet the author after the event. N.B. It may be possible for M. G. Leonard to bring live beetles to an event, but this will require an extra fee for the bug handler, and it will depend on the time of year and which beetles she has available to her. Please explicitly state if you will be wanting living beetles at your event. M. G. Leonard offers a range of hour long creative writing workshops devised to enable participants to discover the power of storytelling, cultivate research skills, challenge their own views, develop empathy, consider the impact of a story on the reader, and encourage all students to express themselves with words. Participants choose a beetle to write a story about. 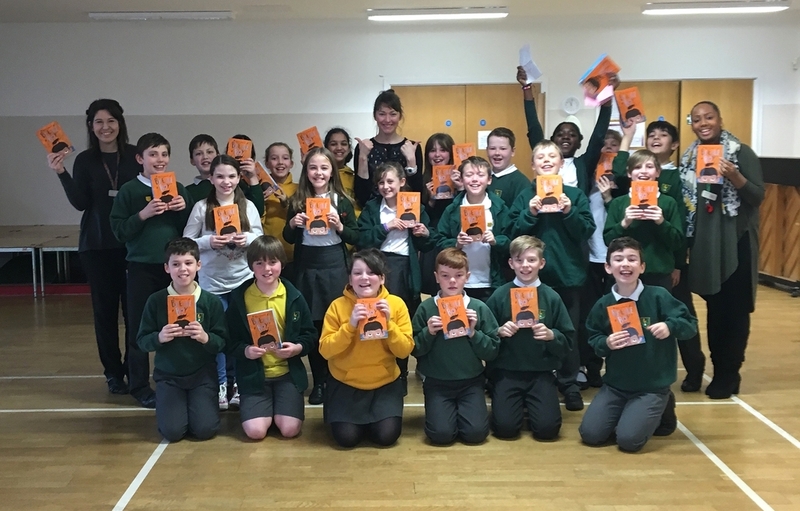 M. G. Leonard inspires them to use their imaginations and gather ingredients for their story, animate their characters, make important decisions and provides a recipe to help them structure their story. These workshops are active, using theatre games and a variety of methods to develop a story, with focused quiet periods of writing. 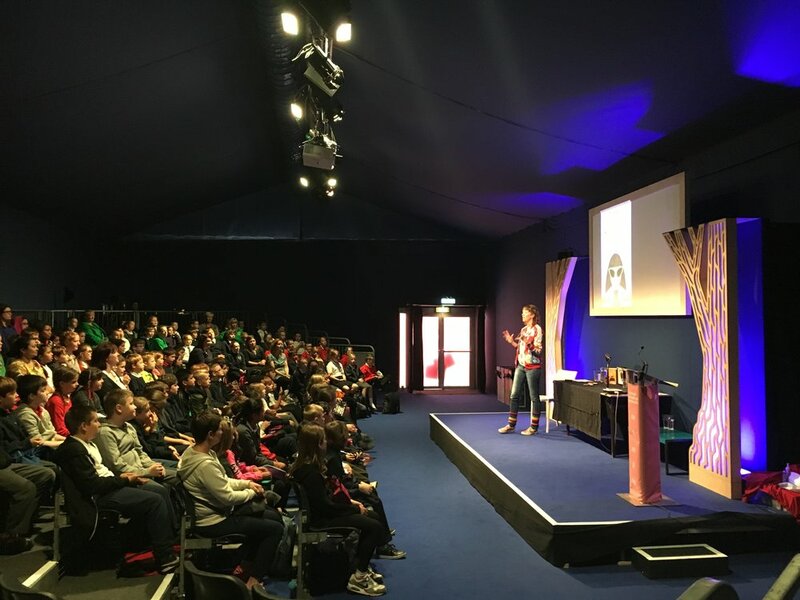 A series of workshops might include a session on story structure, developing character and a session on editing. A series of workshops would always be devised in consultation with the teacher. You'll find a whole range of classroom activities based on the Beetle Boy trilogy here.